The chapter examines the parallel justice system established by the Afghan Taliban. 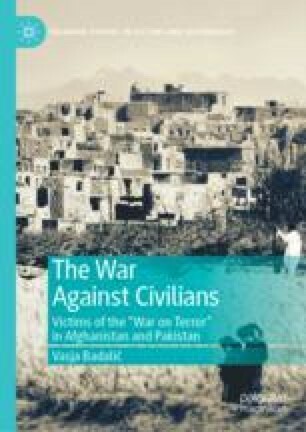 The first section analyzes both conflict-related crimes (e.g., spying for the Afghan regime and U.S. forces) and non-conflict-related crimes (e.g., murder, crimes against property, “moral crimes”) as defined by the Taliban. The section also examines the punishments meted out by Taliban courts (e.g., executions by stoning, beheading or shooting, amputations of limbs, lashings). The second section examines how Taliban courts failed to provide key judicial guarantees needed to ensure a fair trial (e.g., lack of access to a legal counsel, the lack of time to prepare a defense, limited right to appeal). The last section shows why the punishments imposed by the Afghan Taliban amounted to human rights violations. Ahmed, Azam. 2015. “Taliban Justice Gains Favor as Official Afghan Court Fail.” The New York Times, January 31. https://www.nytimes.com/2015/02/01/world/asia/taliban-justice-gains-favor-as-official-afghan-courts-fail.html. Accessed on 17 September 2018. Clark, Kate. 2011. The Layha: Calling the Taleban to Account: Appendix 1. The Taleban Codes of Conduct in English. Kabul: Afghanistan Analyst Network. http://www.afghanistan-analysts.org/wp-content/uploads/downloads/2012/10/Appendix_1_Code_in_English.pdf. Accessed on 1 October 2017. Forbes, Jami. 2013. “The Significance of Taliban Shari’a Courts in Afghanistan.” CTS Sentinel, 6 (5). https://ctc.usma.edu/app/uploads/2013/05/CTCSentinel-Vol6Iss57.pdf. Accessed on 12 September 2018. Ghafoori, Abdul Qadir, and Frud Bezhan. 2015. “Disturbing Footage Emerges of ‘Taliban’ Stoning in Afghanistan.” Radio Free Europe/Radio Liberty, November 2. https://www.rferl.org/a/afghanistan-taliban-stoning-woman-adultery/27341045.html. Accessed on 13 September 2018. Ladbury, Sarah. 2010. Helmand Justice Mapping Study. Department for International Development. http://cpau.org.af/manimages/publications/Helmand_Justice_Mapping.pdf. Accessed on 17 September 2018. Protocol Additional to the Geneva Conventions of 12 August 1949, and Relating to the Protection of Victims of Non-International Armed Conflicts (Additional Protocol II), 8 June 1977. https://ihl-databases.icrc.org/ihl/INTRO/475?OpenDocument. Accessed on 14 September 2018. Saifullah, Masood. 2017. “The Disturbing Trend of Taliban Justice in Afghanistan.” Deutsche Welle, March 15. https://www.dw.com/en/the-disturbing-trend-of-taliban-justice-in-afghanistan/a-37950678. Accessed on 3 September 2018. UNAMA (United Nations Assistance Mission in Afghanistan). 2012. Afghanistan Mid-Year Report 2012: Protection of Civilians in Armed Conflict. Kabul: UNAMA. https://unama.unmissions.org/sites/default/files/2012_mid-year_report.pdf. Accessed on 3 September 2018. ———. 2014. Afghanistan Annual Report 2013: Protection of Civilians in Armed Conflict. Kabul: UNAMA. https://unama.unmissions.org/sites/default/files/feb_8_2014_poc-report_2013-full-report-eng.pdf. Accessed on 3 September 2018. ———. 2015. Afghanistan Annual Report 2014: Protection of Civilians in Armed Conflict. Kabul: UNAMA. https://unama.unmissions.org/sites/default/files/2014-annual-report-on-protection-of-civilians-final.pdf. Accessed on 2 September 2018. ———. 2016. Afghanistan Annual Report 2015: Protection of Civilians in Armed Conflict. Kabul: UNAMA. https://unama.unmissions.org/sites/default/files/poc_annual_report_2015_final_14_feb_2016.pdf. Accessed on 12 December 2017. U.N. Economic and Social Council. 1995. Independence and Impartiality of the Judiciary, Jurors and Assessors and the Independence of Lawyers: Report of the Special Rapporteur, Mr. Param Cumaraswamy, Submitted in Accordance with Commission on Human Rights Resolution 1994/41, E/CN.4/1995/39. http://undocs.org/E/CN.4/1995/39. Accessed on 24 July 2017. ———. 1984. CCPR General Comment No. 13: Article 14 (Administration of Justice, Equality Before the Courts and the Right to a Fair and Public Hearing by an Independent Court Established by Law). http://www.refworld.org/docid/453883f90.html. Accessed on 18 September 2018. ———. 1992c. CCPR General Comment No. 20: Article 7 (Prohibition of Torture, or Other Cruel, Inhuman or Degrading Treatment or Punishment). http://www.refworld.org/docid/453883fb0.html. Accessed on 18 September 2018. ——— 1998. Domukovsky et al. v. Georgia, Communications No. 623/1995, 624/1995, 626/1995 and 627/1995, CCPR/C/62/D/623, 624, 626 and 627/1995. http://www.univie.ac.at/bimtor/dateien/hrc_1998_domukovsky_vs_georgia.pdf. Accessed on 2 August 2018. ———. 2003. Azer Garyverdy ogly Aliev v. Ukraine, Communication No. 781/1997, U.N. Doc. CCPR/C/78/D/781/1997. http://hrlibrary.umn.edu/undocs/781–1997.html. Accessed on 27 July 2018. ———. 2007. General Comment No. 32: Article 14 (Right to Equality Before Courts and Tribunals and to Fair Trial), CCPR/C/GC/32. http://www.refworld.org/docid/478b2b2f2.html. Accessed on 24 July 2018.